• Other sizes available - call for details! 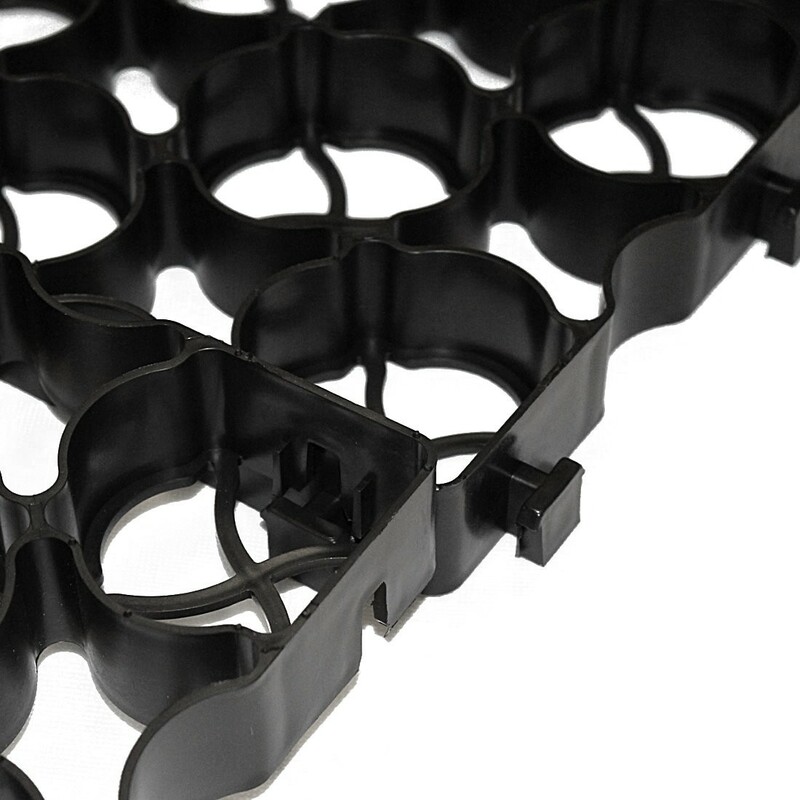 Can also be used for Decks, Cabins, Greenhouses, Driveways, Paths, Car Parking, Hard Standing and many other uses. Please select the shed size from the Options list. If you cannot see the size required we also sell these singly or alternatively please contact us and we will be happy to provide the size required. 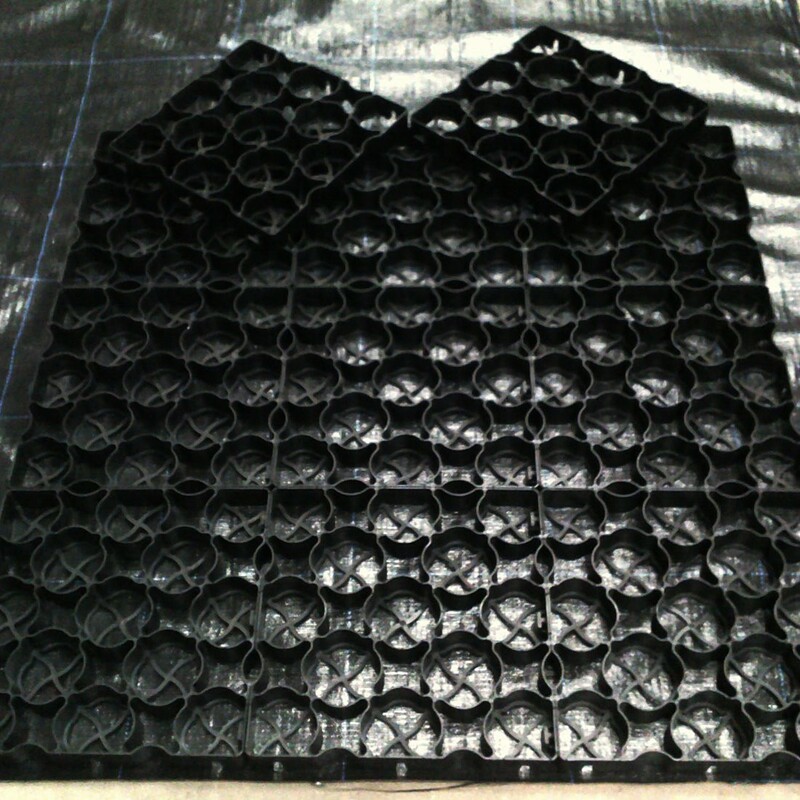 Each grid is 330mm square - just over a foot square. 9 Grids = 1 square metre. If your Shed is, say, 6' x 4' then simply multiply the 2 numbers together and that is how many grids you need! So for 6' x 4' you need 24, easy! 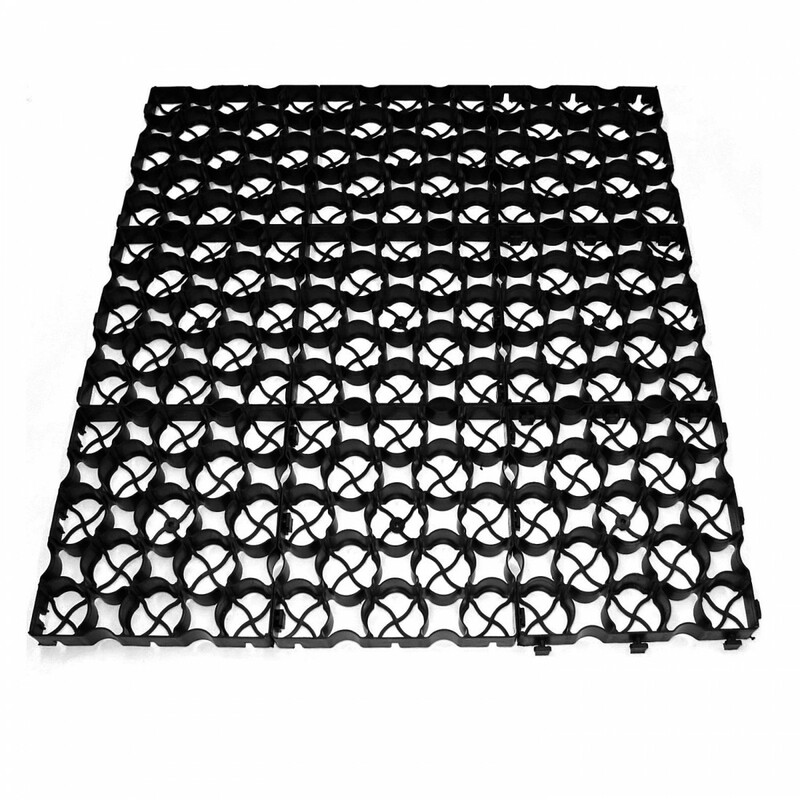 We will supply enough weed fabric to cover the area of grids purchased. Manufactured from 100% recycled material diverted from landfill. 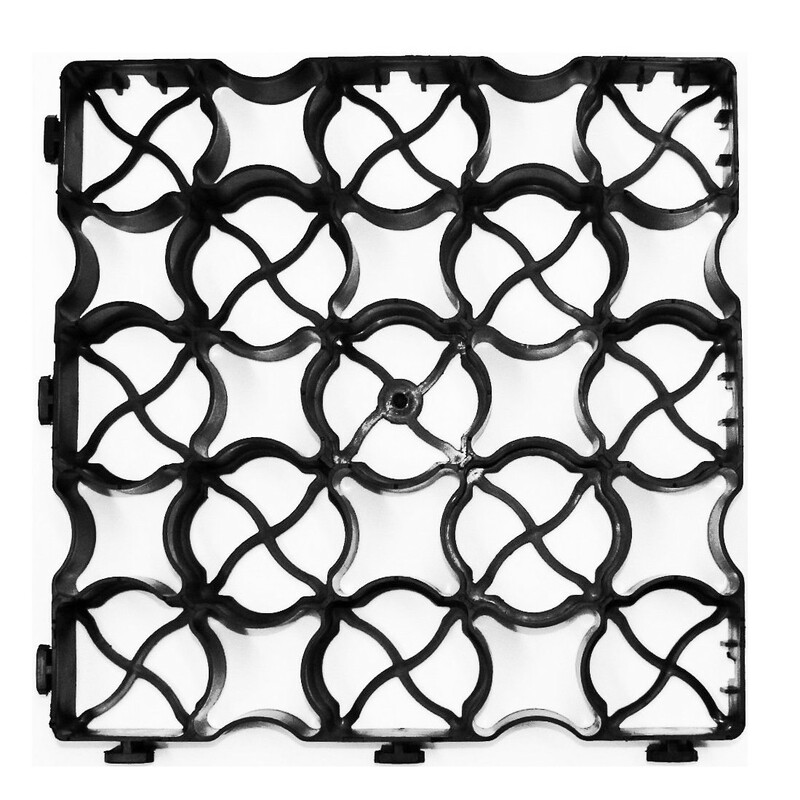 These Grids are the environmental and sustainable solution of choice. Benefits that matter. 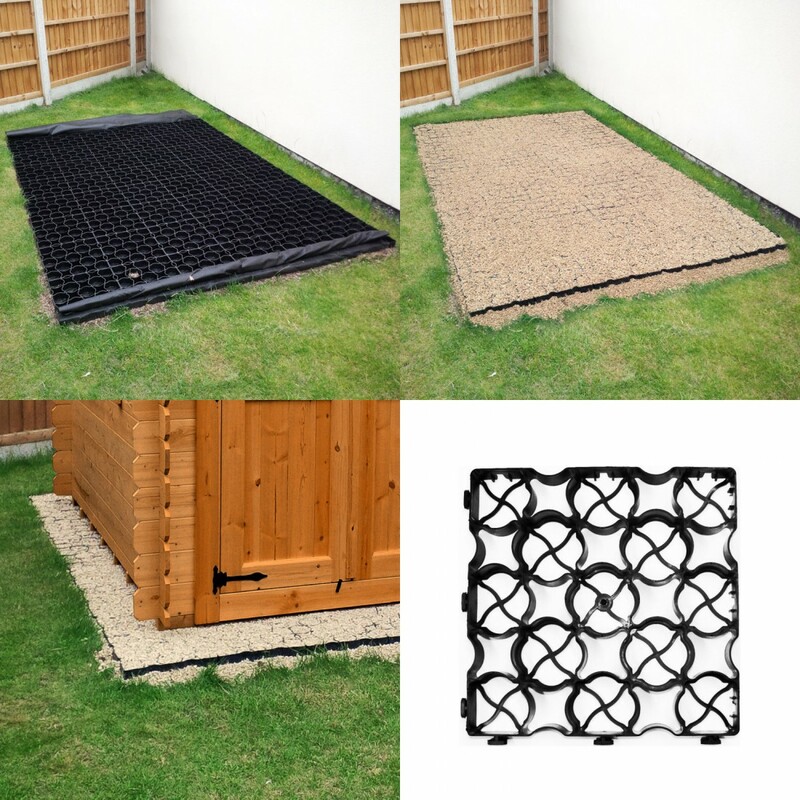 This interlocking ground and grass reinforcement product is successfully used in many other applications, including green car parking areas, private lanes, access roads, construction sites, greenhouse soakaway, and as a base for decking and garden sheds. It is tough, flexible and easy to install making it the professional choice for a wide range of projects. Proven over many years! Better than larger, thinner, lighter grids, will flex at the joints if the ground is not exactly level and much stronger - 200 tonnes per square metre (or 10 sq ft)! 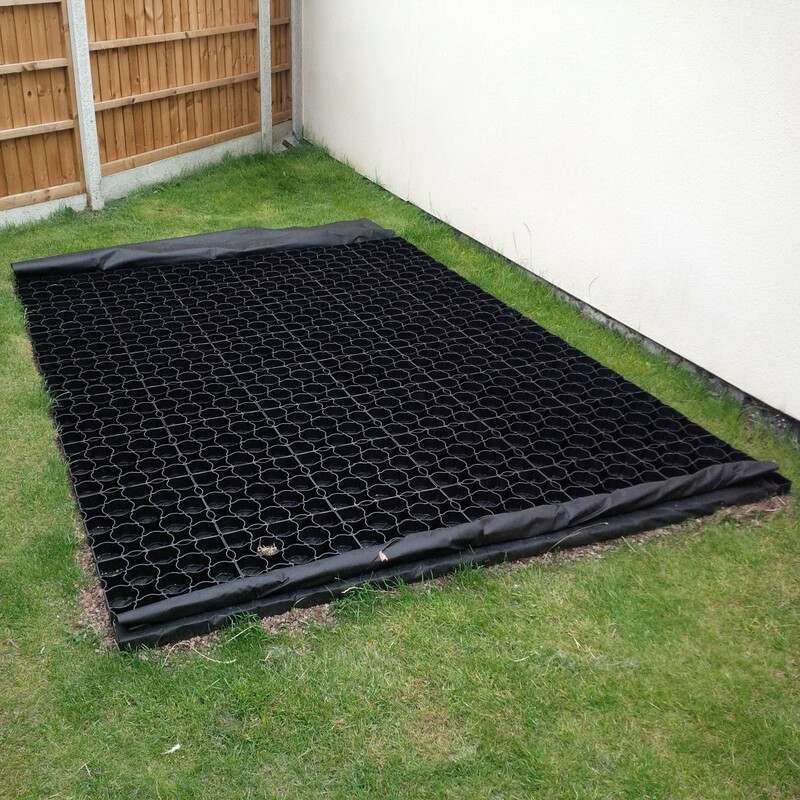 Grids are 4cm thick and weigh 0.5kg each and 13" Square, bigger than a square foot giving an ample base for your shed, greenhouse or cabin. No clips and no need to dig little holes! Fantastic purchase easy to put down if my husband can do it anyone can . Super fast delivery would recommend well packed what super service . 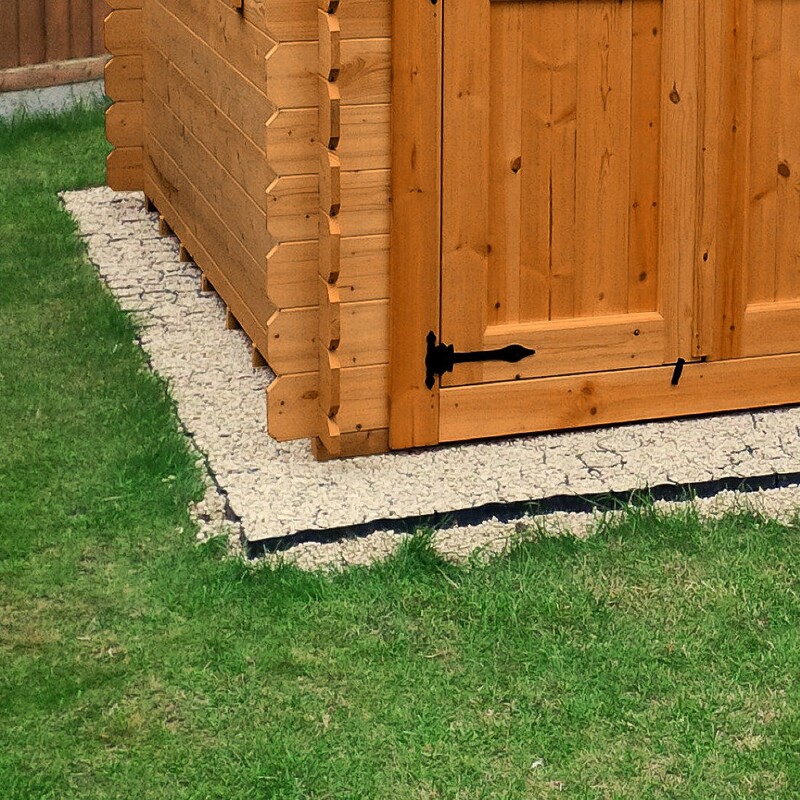 I'm female, age 60 and wanted to put a shed in my garden. I found this product by accident but.wow. after reaidng the reviews I thought I would try it. 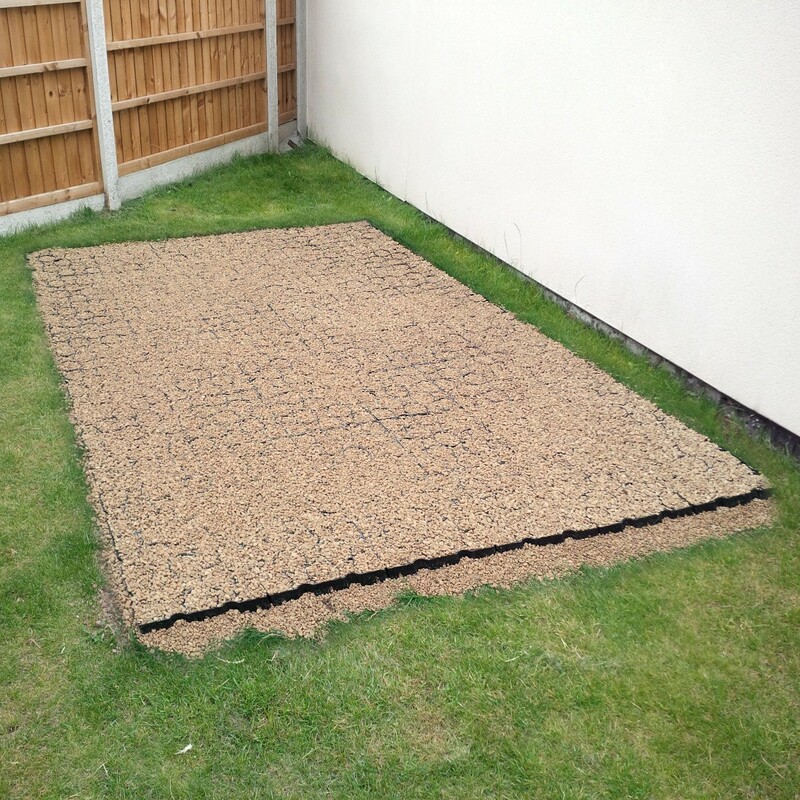 It duely arrived within the time specified and in the space of an hour I had the base laid. I'm waiting for the wind to die down to put up my shed but so recommend truepave. Excellent product. Delivered within 36 hours of ordering.Lightweight and easy to assemble.Just need to level ground shed is going on.Needed small pebbles to go within the frame,we used pea gravel,98p from hardware stores.